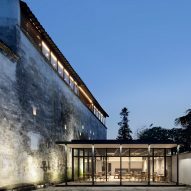 A couple from Shanghai purchased the building and tasked Anyscale Architecture Design with bringing back the interiors' former glory. 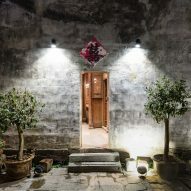 "We executed [the project] in a manner that respected and honoured the local architectural history, and restored [the hotel] in a manner where current and future generations could understand and appreciate traditional design," explained the practice. 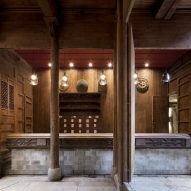 The practice used a local artisan to restore the timber framework that appears throughout the ground floor – some of the beams have been carved with decorative motifs that depict the client's personal history. This level is also interrupted by a sequence of paved outdoor spaces, which lends the hotel its name. 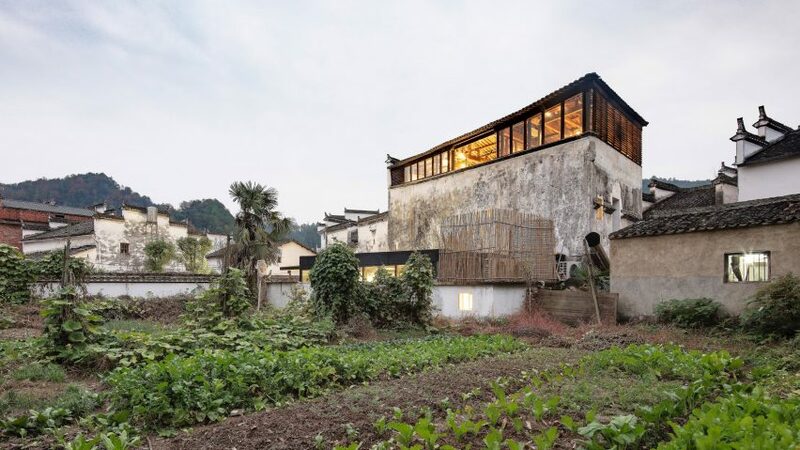 Wuyuan Skywells translates to "tian jing" – an local building typology that's defined by narrow courtyards intended to let light into living spaces. 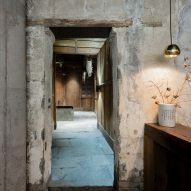 "In this way, the cultural aspects of the property were not only given a facelift but were also upgraded to reflect a new chapter in the building's legacy," added the practice. 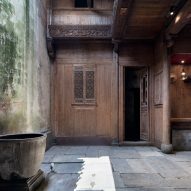 Several of the existing clay walls have been rebuilt to keep the building cool during the summer, but some slightly dilapidated surfaces that feature faded Chinese characters have been left in their found state, adding to the hotel's aged appearance. A black-framed glass pavilion has also been added to accommodate a dining space. Upstairs, the bedrooms have been finished in a similarly more contemporary manner, with walls painted in cool tones like slate grey. Studio 10 opted for a much more modern aesthetic for its design of a guesthouse in Chinese city Guilin – it features maze-like stairways and optical illusions inspired by Dutch artist MC Escher's eye-tricking illustrations.